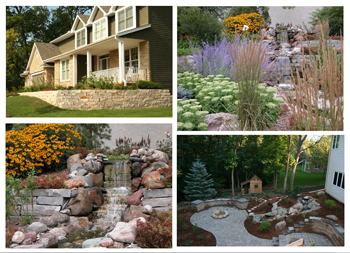 The Mustard Seed Landscaping and Garden Center in Chanhassen, MN, is open 7 days a week in season. Our Garden Center carries a wide array of Trees, Shrubs, Evergreens, Annuals, Perennials, Koi Fish, Aquatic Plants, Christmas Trees, Wreaths & Roping as well as Unique Gifts, all awaiting your personal selection. Children of all ages will enjoy our large play area and petting zoo of miniature donkeys, chickens, an observation bee hive and Real Live Reindeer during Christmas! You will enjoy perusing our greenhouses and over 12 acres of exceptionally high quality plant material!